This beauty post is a little bittersweet! Wait, why? The reason might surprise you! 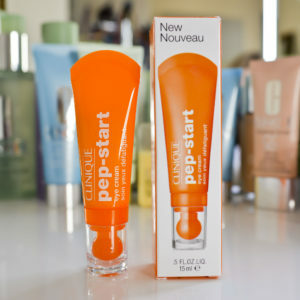 Well, first let’s rewind a bit for those of you who may be new to my blog and not familiar with my skincare history. So skincare is the one area of my beauty routine where I absolutely will never cut corners or waste my time with sub-par products. I’ve obsessively taken care of my skin since about age twenty (I finally wised up near the end of college) and for the last 7ish years have made sure I use only high-quality skincare products. I have to give a shout out to my grandma too—she always reinforced to me it was imperative I begin taking care of my skin early to prevent wrinkles and age spots. She’s living proof because she has the most beautiful skin and looks 20 years younger than her actual age. Go Gram! I’ve mentioned a few times before about my struggle with eczema. As a child, red itchy patches covered my legs and elbows. Then during my teen years I began getting flare ups on my thighs and forearms. My eczema hit a high when I moved to New York and began working full-time as a publicist. The stress of the job and air pollution in the city would trigger the most painful red flare ups all over my face and neck. Sure I could cover it with makeup, but that would only amplify the irritation and further delaying the healing process. Prescription creams did help, but truly the only way I could heal it was with time and letting the flare up run its course. 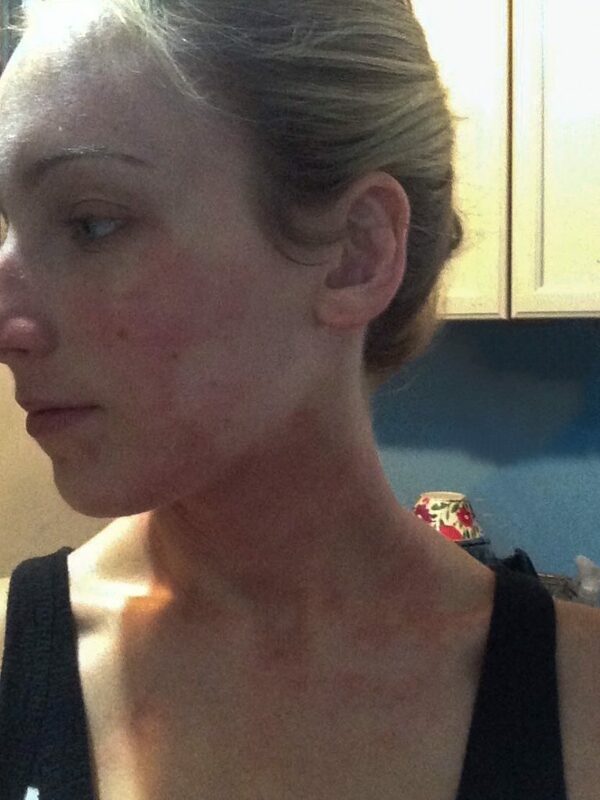 I can’t believe I’m sharing this, but here’s a photo from one of my worst eczema flare ups of all time. I wouldn’t wish this on anyone! I still get random little eczema spots from time to time, but nothing like when I was younger and in my early 20’s. I think a big reason is 1) I finally learned how to manage my stress and anxiety and 2) developing a high-quality consistent skincare routine. Okay, so back to why this post is bittersweet! Those of you who keep up with my Instagram stories know that for the last two months I’ve been religiously using SK-II Facial Treatment Essence twice a day in preparation for our trip to Mexico and upcoming summer travels. Well as you can see from the empty bottle in my hand, I finished every last drop and my skin could not be more grateful for all the love and nourishment it received over the last few weeks! Applying this “miracle water” (as it’s called by the beauty community) every day was such a refreshing and hydrating treat. Let me tell you: I savored this and was neurotically careful to not waste a single drop. I didn’t want to finish it! This is me about 1/3 of the way into my bottle! Notice the under eye bags? What Is SK-II Facial Treatment Essence? SK-II Facial Treatment Essence is a nutrient-packed liquid that’s become a cult-favorite product of skincare junkies with a very long resume of benefits. The essence not only works to reduce the appearance of fine lines and dark spots, but it also improves skin’s overall radiance, tone and texture. Sound too good to be true? Well here’s why it works. This miracle water amplifies your skin’s natural rejuvenation process thanks to Pitera—a super ingredient that contains vitamins, amino acids and minerals all of which enhance the skin. 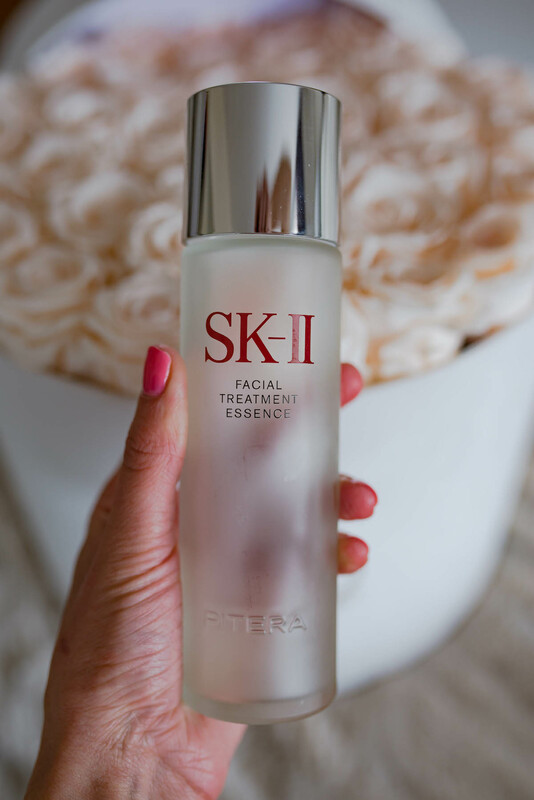 There’s actually 90% Pitera in every bottle of SK-II Facial Treatment Essence, which is why it’s so effective. The formula is so potent. In addition to everything I mentioned above, the essence improves the overall quality of your skin. It’s not a product you use to fix just one thing like a wrinkle or dark spot—it literally does it all. With regular use your skin will get hydrated to the max and feel bright and refreshed. Think about it this way—this product will transform your skin into a healthy “canvas” allowing the other products in your routine to work more effectively. I use SK-II Facial Treatment Essence after cleansing and toning. To apply it you can use a cotton pad and then dab the essence lightly on your face and neck, or you can even just use your hands by pouring it into your palm. I did it both ways and prefer to use a pad, but if you’re concerned about conserving product hands are probably the way to go. After applying I’ll wait no more than a minute to allow the essence to fully absorb and soak into my skin. From there I continue my routine applying my serum, eye cream and moisturizer with SPF. I think it’s pretty obvious that I love this product. I normally struggle with my skin the most during the colder months and this year I didn’t have a single eczema flare up. I’m lucky to not have acne-prone skin, but every now and then I’ll get a pimple. Since using the essence I haven’t had a single blemish. One larger change I really noticed was the diminished appearance of the wrinkle I’ve started developing between my brows. After years of furrowing and scrunching my face, the effects have started catching up to me and even though only I can notice it, I don’t want to make it any more visible. 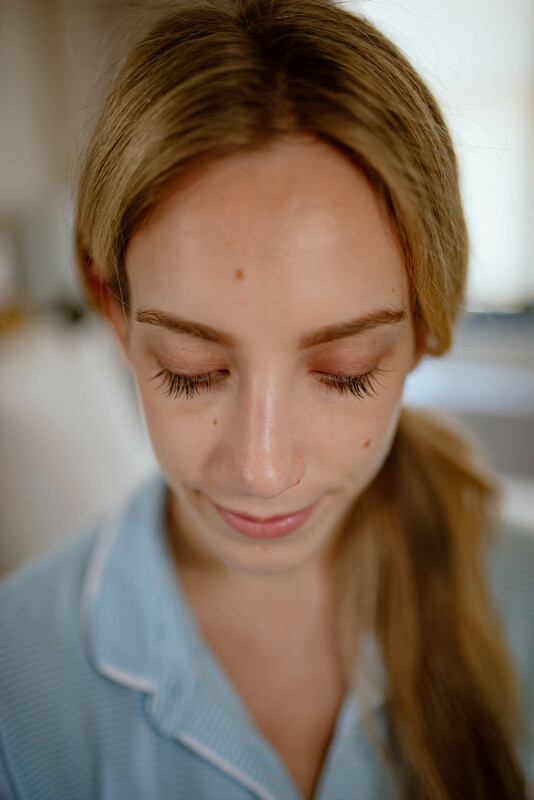 Before I started using the essence I actually had been considering scheduling another appointment for Botox (I tried it for the first time in November), but now I’m not rushing to get it because the essence truly has faded my line. Helloooo close up of my face! My forehead is my problem area and right in between my brows is where I’ve started getting lines and previously had to get botox. Following two months of twice daily use of SK-II Facial Treatment Essence, my most prominent line has significantly faded and can barely even be captured on a camera. I can only faintly see it myself when looking in the mirror in very bright natural light. Alright so I can’t leave you guys without mentioning the price. SK-II Facial Treatment Essence isn’t cheap. It’s really an investment, but I believe it’s worth the price. It comes in various sizes beginning with 2.5oz priced at $99, up to 11oz for $290. 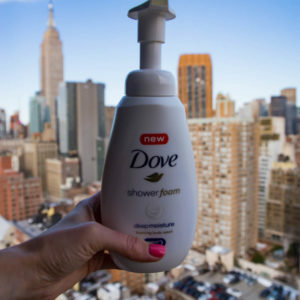 The size I received was the 5.4oz bottle, which I finished in a little over two months with strict twice daily use. Right now I think my skin has never been better. It was radiant, hydrated and just looked “glowy” when I was in Mexico. All month I’ve been wearing very minimal makeup and don’t even feel like I need a foundation—all I wore was SPF when I was on the beach! This product is a win in my book and if skincare is important to you, I highly recommend taking the plunge. Have any of you ever tried SK-II products? Do you use an essence? That is a great skincare brand and apparently a very great product too. I will give them a try as I haven’t been introduced to them yet. Great testimonial! Skin conditions can be heartbreaking. I’ll hunt some down and try it. If it helps my skin (still in my 50s!!! )…that would be excellent. I really don’t take the time to check out skin products. So, articles like this are a true help! At 44, I swear by this essence! At first I wasn’t sure of it and tried it because of the hype. It has truly changed the texture of my skin, making it much smoother! It also hydrates my skin and has helped fade some old sun spots! Highly recommend! Your skin looks fabulous! If you want wonderful looking skin you have to take great care of it. You certainly will reap the benefits. I cannot wait to try this product. Would LOVE to hear your entire skin care routine!! I’ve got to try it, it beats getting Botox injections! I have heard so many great things about this essence water. I’ve been dying to try it. Your skin looks great! Do you also use SK-II products after the facial treatment essence? Can one use it with Obagi Facial Cleanser and Obagi toner? Thanks! Your skin looks really healthy & radiant! katie, I think i am going to add this to my skincare routine. i use skinceuticals products every morning and night and i really think you should. have you ever tried skinceuticals? Just a $ tip. The large 11oz bottle is available on the costco.com website for members. May be worth the membership price (which I think it is anyway) if you want to check it out!